Robert’s mission is to work hard and take care of every real estate client as if they are family. He is always engaged and hands-on throughout the entire process, making himself available at all times - even for matters beyond the scope of the transaction. Specializing in sales and rentals in Manhattan, Robert is a member of The Berkin Team headed by Stefani Berkin, R New York’s president. He has worked in real estate since graduating from college, inspired by a deep passion for the business. “My approach to real estate involves listening to and educating clients each step of the way. This job goes way beyond merely showing homes; it involves being a market navigator, solutions provider, skilled negotiator, and advisor on the best deal and investment for a client’s needs. Whether you’re seeking a home or selling a special property, quality service and personal attention come first when you hire me.” A native New Yorker born and raised in Harrison, New York, Robert graduated Syracuse University’s Martin J. Whitman School of Management with a Bachelors of Science degree. He resides in Murray Hill, an area he loves for its easy liveliness and accessibility to the rest of Manhattan. 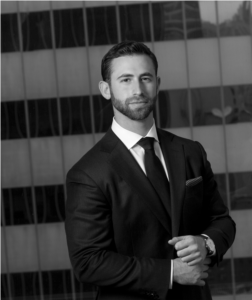 Outside of real estate, he is an avid fitness enthusiast and Licensed Personal Trainer who has worked one on one with clients, and competed at high levels in both MMA and weight-lifting. Dearest to his heart is working with the Special Olympics, giving time as a volunteer. Robert speaks Hebrew in addition to English.